This nifty kit is compatible with all smart phones and tables and attaches itself to your device via a screw mechanism. 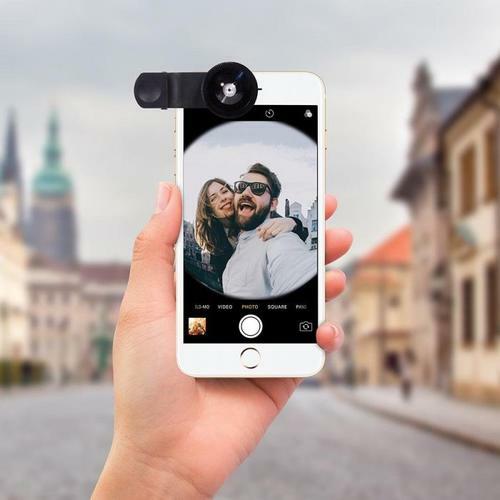 It includes 3 separate lens, the fisheye lens offers a 180 degree view, which helps create a hemispherical photograph; the wide angle lens on the ther hand gives you 0.67 magnification to capture a landscape; and finally, a macro lens that offers 10x magnification to extreme close ups of flowers and insects. These lenses all come with their own protective lens cap for you to fit on your phone to for any situation!